Developing talent is one of the top priorities at Tata Chemicals Europe. Investing in talented people and creating the right opportunities lays the foundation for the business and the individuals to succeed. Helping to nurture the talent pipeline, Tata Chemicals Europe runs several leadership development programmes. The Aspiring & Emerging Leaders programme is for people that are in management positions with the potential to become future senior leaders in the business. As part of the Aspiring & Emerging Leaders programme, the current cohort were asked to look at career development at TCE and, in groups, present their ideas on areas that could be improved back to the rest of their cohort. 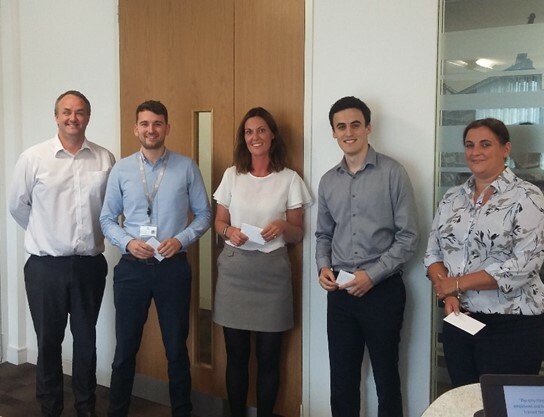 After hugely impressing with their report to the Aspiring Leaders programme, a group made up of Karen Szczurek, Joss Hughes-Jones, Helen Taylor and Will Cousins were invited to deliver their presentation on the topic to the TCE Leadership Team. The creation of a secondment programme, to expose managers to the wider business. A mentoring programme to help individuals shape their development, learn from others and connect with people across and outside the organisation. Career development workshops and drop-in sessions held on site to provide staff with advice on areas such as personal development and e-learning courses.